In case you tend to switch your mobile phones frequently, then it becomes a nightmare to lose all your WhatsApp messages. Or incase you are using WhatsApp for professional chats with your customer/vendor/employees, and wish to use some data from the messages, then there is no other option besides manually copying the messages word-by-word. 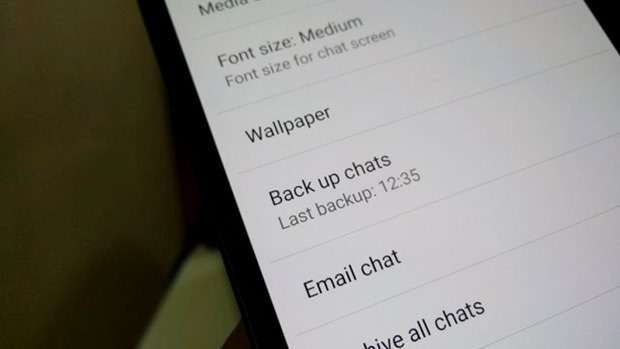 In the latest version 2.12.94, WhatsApp has included several new changes, besides Google Drive backup: Mark messages as Unread after reading them; customize notifications with new sound, vibration length and change the pop-up notifications and more. However, right now, Indian users are using the 2.12.176 version, which would be updated to 2.12.94 in coming days to use the Google Drive backup option. How To Save WhatsApp Messages On Drive? Google Drive Setting > Manage Apps > (the list will show WhatsApp). Once WhatsApp and Google Drive are synchronized, then go to the particular message which you need to save in Drive, and choose the option ‘Save chats to drive’, and you are done. In the month of April, WhatsApp had initiated such an option to save the messages on Google Drive, but it was withdrawn after few days. Mobile messaging app Line has around 205 million monthly users all over the world. However more than 50% of their users are based in just three countries: Japan, Thailand and Taiwan. In order to expand their reach, and taking a clue from Facebook (which had launched Facebook Lite in June), Line has launched a lighter, 2G friendly version of their app for emerging markets, especially for Android users. Having just 1MB size, this lighter version of Line has been launched in these 11 countries: Algeria, Cambodia, Colombia, Egypt, India, Mexico, Pakistan, Philippines, Saudi Arabia, Korea, and Vietnam. This stripped down version doesn’t have any voice or video calling features, and essentially just features text chat. Line representatives are saying that more features would be added in near future.